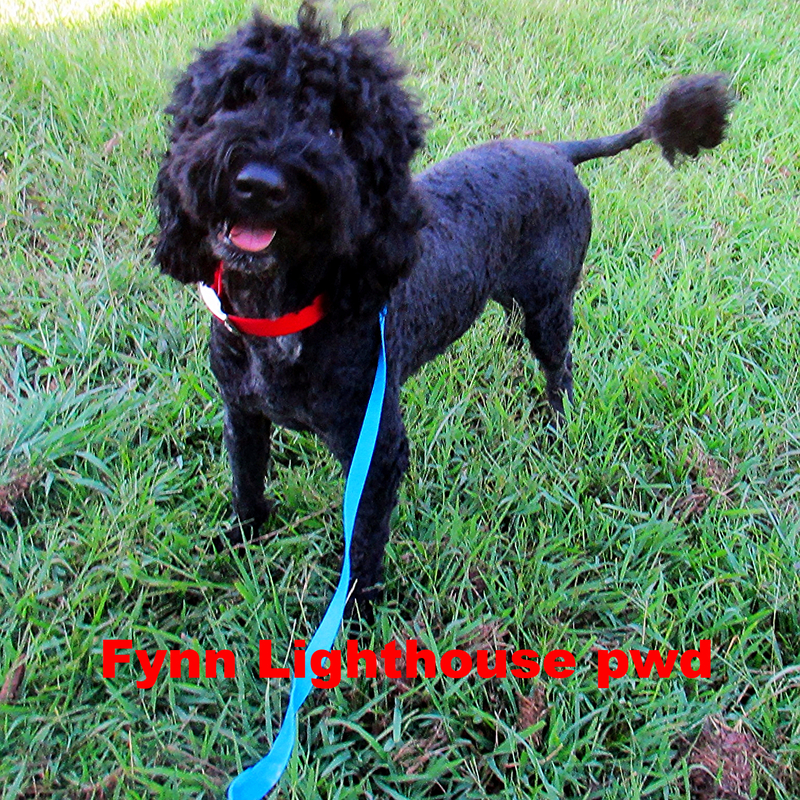 We are very proud of our dogs and our lines..here you will learn all about the Porti-Doodle and their characteristics, health issues and meet or crew. We offer an one year Health Guarantee on genetic disorders..our pwd sires' parents have cleared health test /the GrandParents have been health tested for JDCM, PRA and GM-1. (his breeding parents are negative/clear. (do not carry the genes))..Please fill free to contact me any time directly by email or phone.....or would like to fill out an questionnaire and send to our email ..southcreekpuppies@outlook.com...that would be fine .. Welcome to our Parents page. 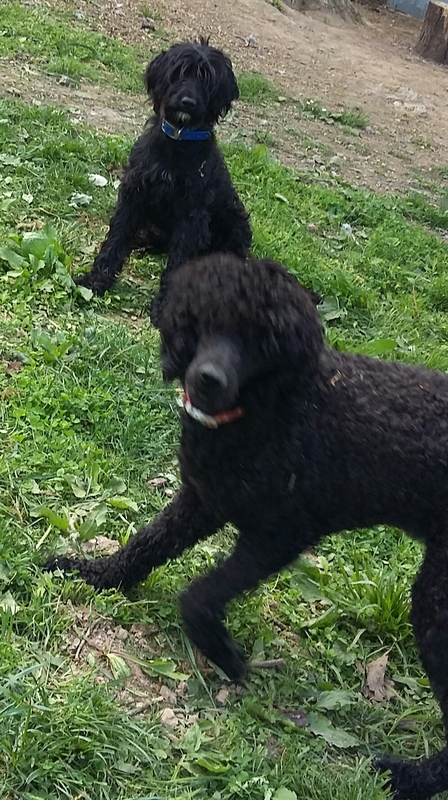 Here you will meet our girls and our male, Sasha and Elsa, our female Standard Poodles, They are comical and very intelligent . 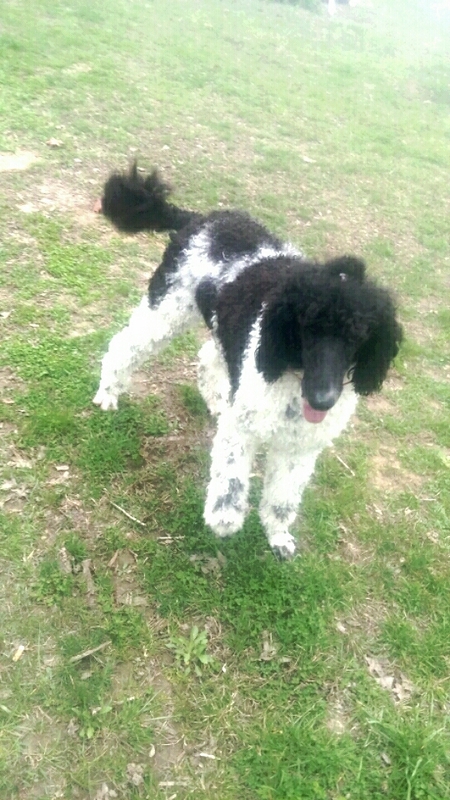 George is our 3 1/2 year old wavy, Portuguese Water Dog sire...He is the love of our life and daddy to puppies. We love his long wavy coat.. and Shyla our "baby doll" girl, She is a loving and tender loving Mother. 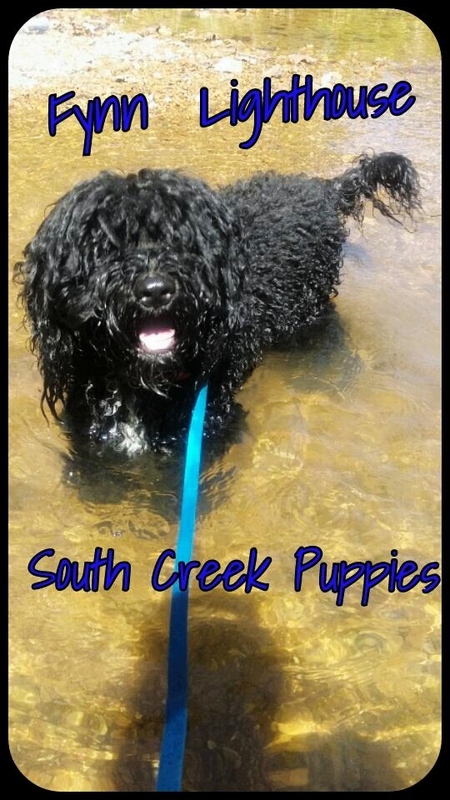 Our girl "Piper" has a blast at the creek/spring, we are excited to introduce her to you and with her parti gene we are anticipating some unique and beautiful black /white coats with her puppies. All of our dogs are in excellent health, heart,eyes, hips,elbows, teeth, lots of health and strength in their lines. Our puppies are home raised with children and other pets in our house. They come with first vet examination,vaccinations, pet health record, guarantee, puppy package of information, life time take back policy and support. George, our first male, is 81/2 years old, been retired for 3 years. He now is the delightful "Gramps" for the babies having more fun than ever. "ShyShy' now 6 yrs old is rehomed with our daughter. Both was the start of our eventure along with Cinnamon, our apricot Standard Poodle whom we will always have in our hearts. Our latest girls are Miss Abby and Maurra. 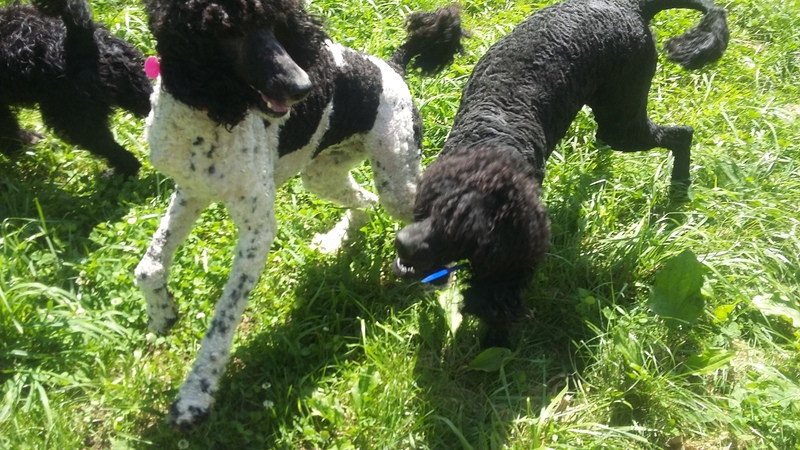 Standard Poodles and the Portuguese Water Dog do not shed, making them a good match for allergy sufferers, for which reason they are commonly used for crossbreeding.The Portuguese Water Dog has a curly coat of dense, cylindrical curls, or a gentle, wavy coat with a minor sheen.The Portuguese Water Dog (also known as the ‘Cao de Agua Portuguese’, commonly called the ‘Portie’, ‘PWD’, or ‘Water Dog’) shares its early ancestry with the Poodle. 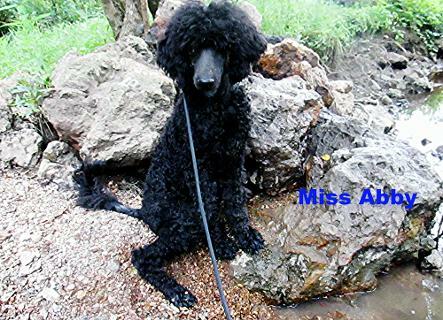 The Standard Poodle has a distinctive fine, curly, wooly coat similar in texture to sheep’s wool. Solid white is most common, but the coat may also be solid grey, brown, apricot, or black. 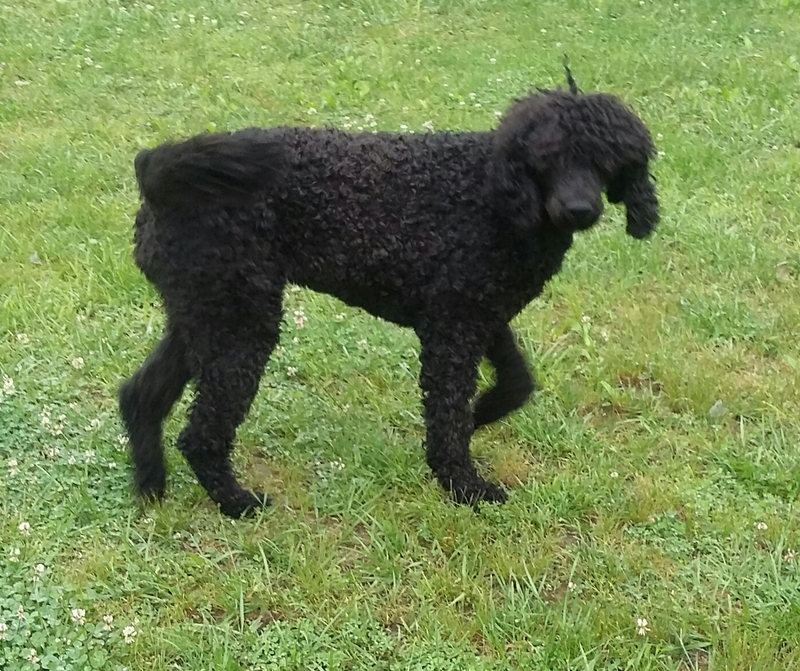 The Porti-doodle is a cross between a Portuguese Water Dog and a Standard Poodle, a cross that originated in North America in the 2008. 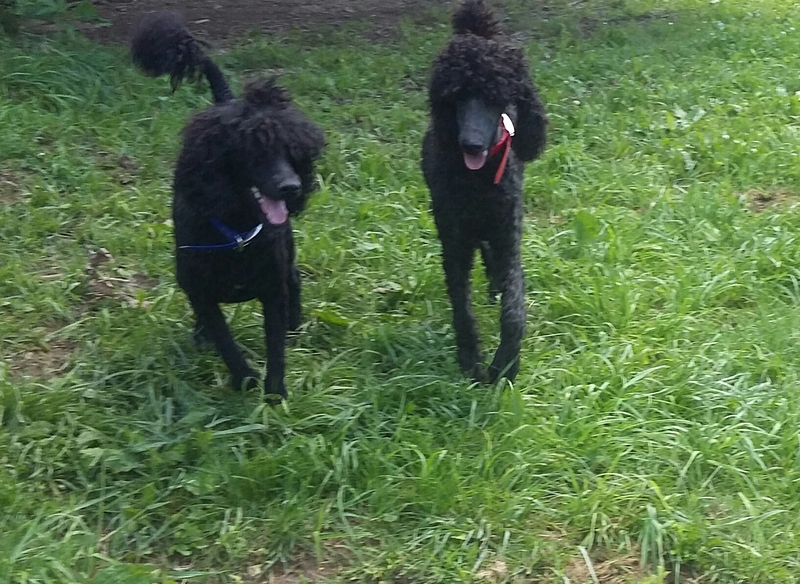 Poodle crossbreeds are meant to produce a dog with mixed traits and the Poodle’s signature non shedding coat. As a crossbreed, the Porti-doodle is not eligible for registration with purebred registries such as the American Kennel Club, but it can be registered with the American Canine Hybrid Club and United Allbreed. 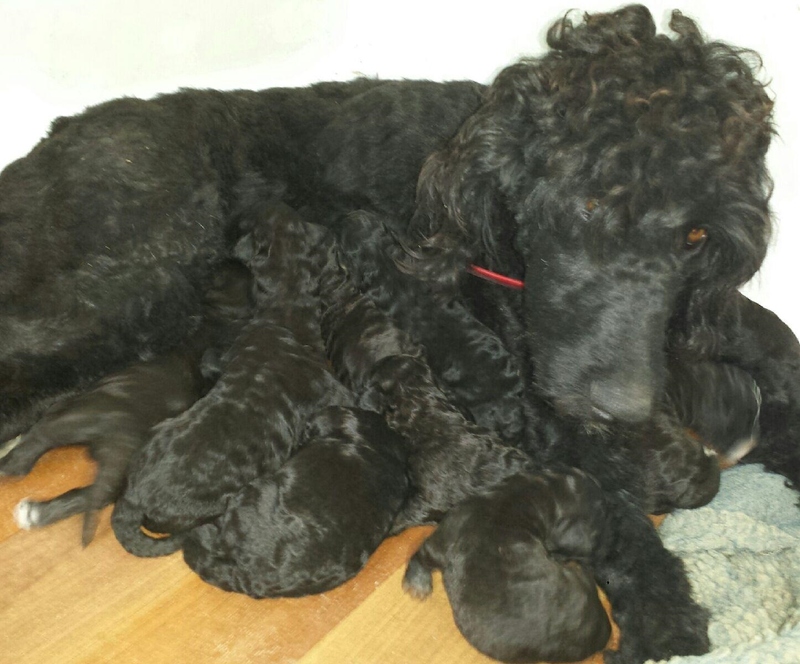 The Porti-doodle is not considered a purebred because it doesn’t ‘breed true’, meaning that it doesn’t display a consistent set of characteristics. 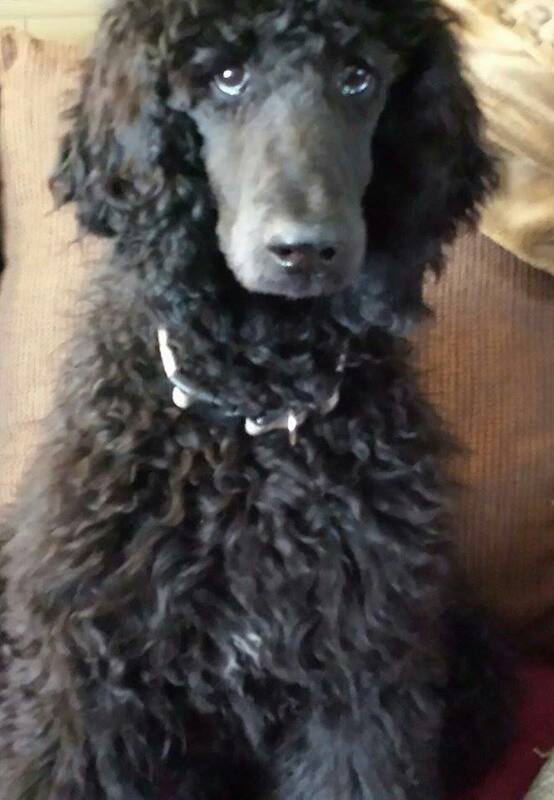 Temperament: Porti-Doodles love to be with their family. They are eager to please and get along well with children, other animals, and strangers. They are social dogs and crave being around people. Care: The Porti-doodle requires regular brushing or combing every few weeks. They are prone to most health issues affecting Portuguese Water Dogs and Poodles, including hip dyspepsia (malformed hip joint which can cause lameness or arthritis), ear infections (particularly for longer-eared dogs) and eye problems such as cataracts. 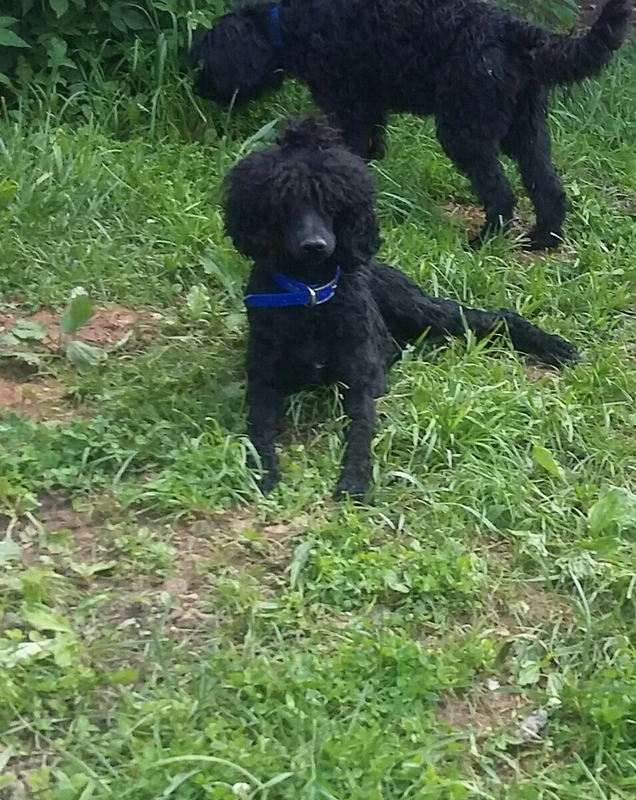 Training: The Porti-doodle is intelligent and has a strong desire to please its master, making it highly trainable. Positive reinforcement is likely to be the most successful approach. 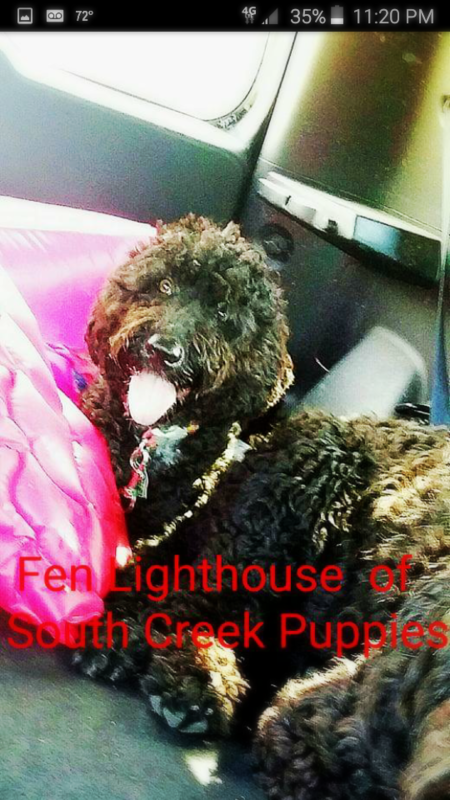 Most enjoy swimming as both the Poodle and Portuguese Water Dog . Porti-doodles can live happily on a farm or in a big city. They will thrive with daily walks or play time.